One of the "superfights" that the UFC wants to put on in 2013 is Georges St. Pierre vs Anderson "The Spider" Silva. The UFC has wanted to host a fight in Cowboys Stadium for a while, and Georges St. Pierre vs Anderson Silva would be big enough to fill all 100,000 seats in the stadium. 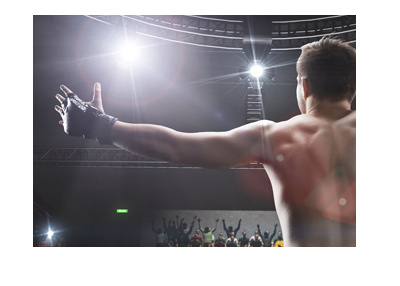 The UFC wants the fight. Anderson Silva wants the fight. Georges St. Pierre? He's been non-committal so far, but he will likely end up taking the fight, especially if the UFC offers enough money. The one possible deal-breaker for the fight would be weight. Anderson Silva is the current 185 pound champion and has fought three times at Light Heavyweight. He walks around at over 200 pounds. Georges St. Pierre, on the other hand, fights in the 170 pound weight class, and usually weighs about 188 pounds when he enters the Octagon. In order to take this fight, St. Pierre and his camp will likely insist on Silva cutting down to 170 pounds. Silva has fought this light in the past, and has said that he could cut down that low again. If he is willing to do that, I believe that this fight will go ahead. This means that you would need to wager $210 on Silva in order to win $100 back. On the other hand, a $100 wager on GSP would return $170 in profit. The line for this fight has already moved in Silva's direction. 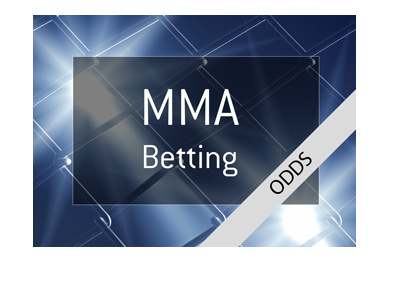 When the line first opened, Anderson Silva was a -185 favorite, while GSP was a +150 underdog.